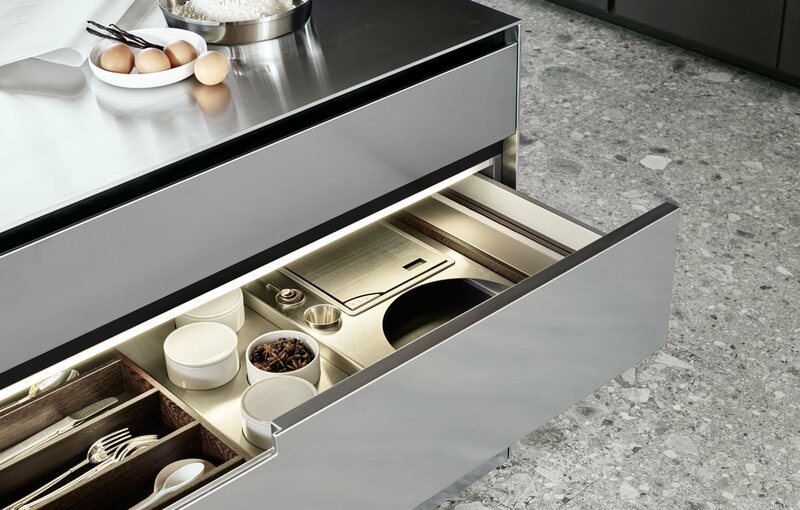 A Poliform kitchen is a symphony of quality materials, meticulously crafted details and technical sophistication, all beautifully customised to meet your needs. 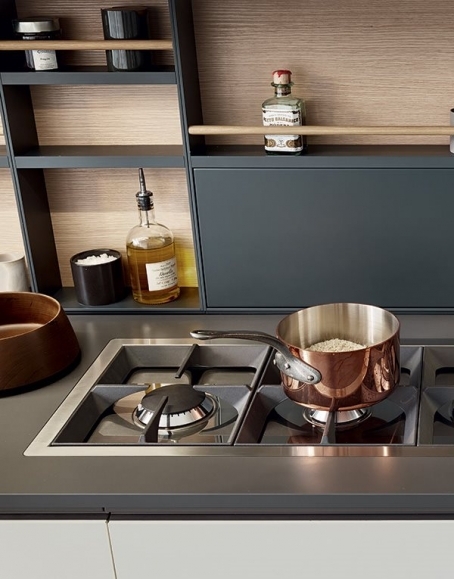 Book a consultation with one of our kitchens specialists now and take advantage of this special offer to develop a fully customised ktichen, designed specifically for you. Let us help you create your dream kitchen. Book an appointment now. 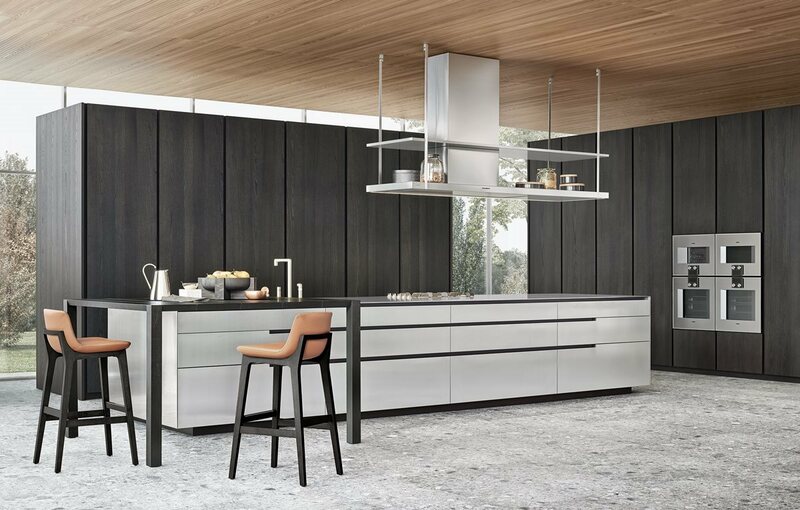 A proposal with exclusive aesthetics, in which all the compositional elements of the kitchen are inspired by the purest geometry and the maximum essentiality of the design for a project characterized by simplicity and rigor. A signature bedside table is the perfect complement to a Poliform bed. Introduce a mixture of textures for a serene & interesting bedroom. 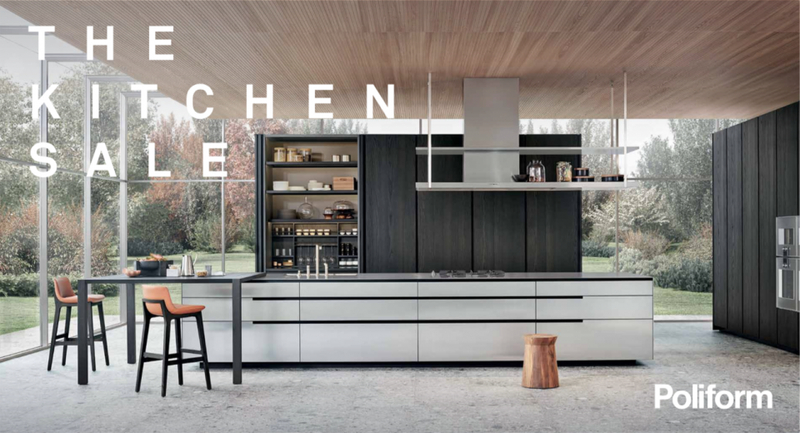 The Twelve Kitchen, designed by Carlo Colombo, features minimal horizontal thicknesses and maximum wideness of surfaces, and the doors and drawers characterized by the absence of handles - making the twelve a space maximising solution. Twelve interprets different stylistic values thanks to an exceptional variety of finishes and materials. A kitchen with a contemporary design and a natural aesthetic. Ample surfaces and rigorous, essential lines highlight the quality of the materials. 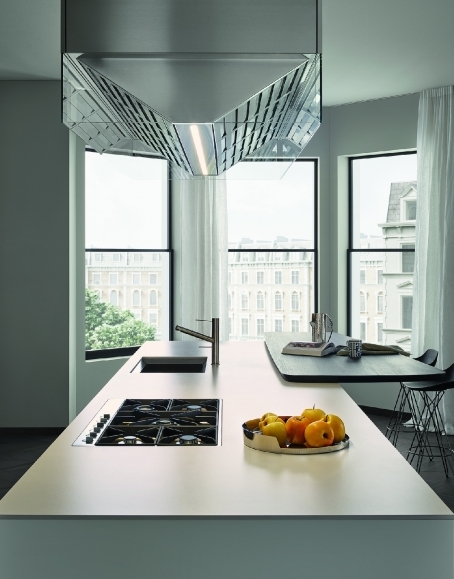 My Planet: this kitchen interprets the widespread desire for practicality and elegance. 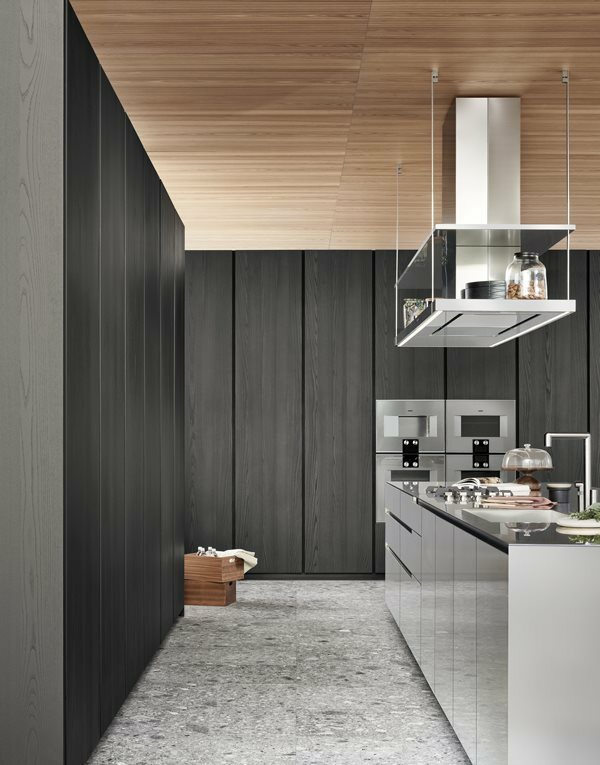 A sensation suggested by new components such as handles and countertops of various thicknesses, the use of light equipped panels and white and dark pine finishes. Technically evolved solutions and fundamental design components that guarantee original compositions for even the smallest of kitchens. 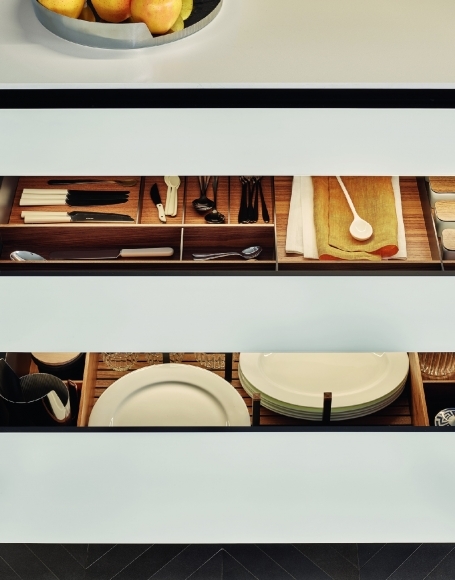 The Trail kitchen, designed by Carlo Colombo, offers a contemporary take on the kitchen space. 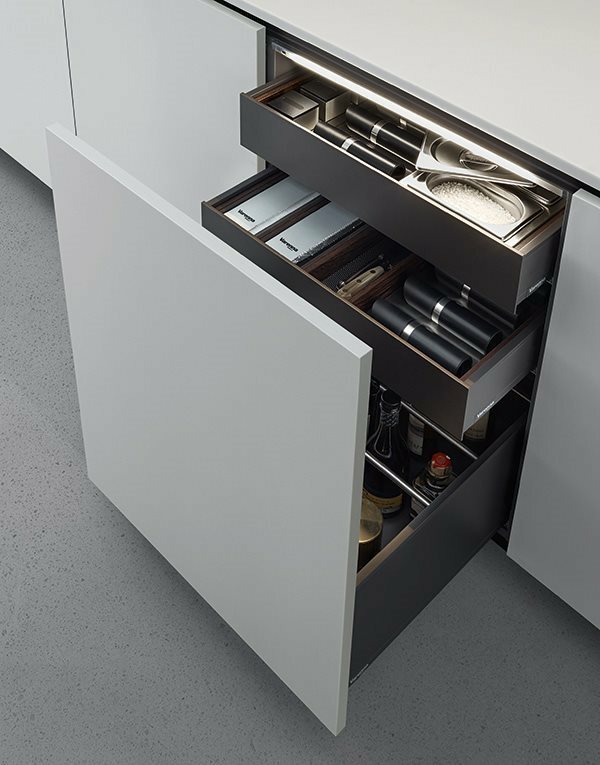 The distinguishing feature of this kitchen is its integrated Trail handle, which can be positioned at the centre or the far end of the door. 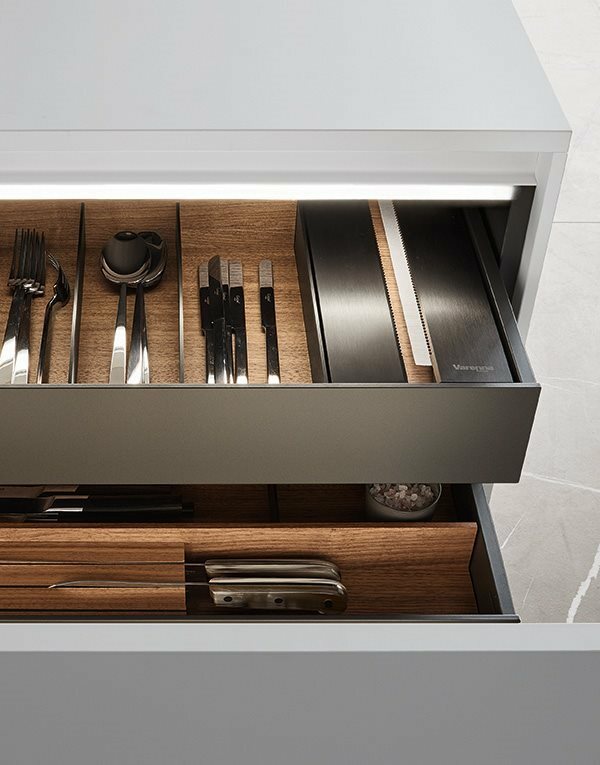 The different components of the model feature minimum thicknesses: from the worktops measuring 6mm to the wall panelling shelves, which are 3mm thick, and the new open cabinets with lighted back. 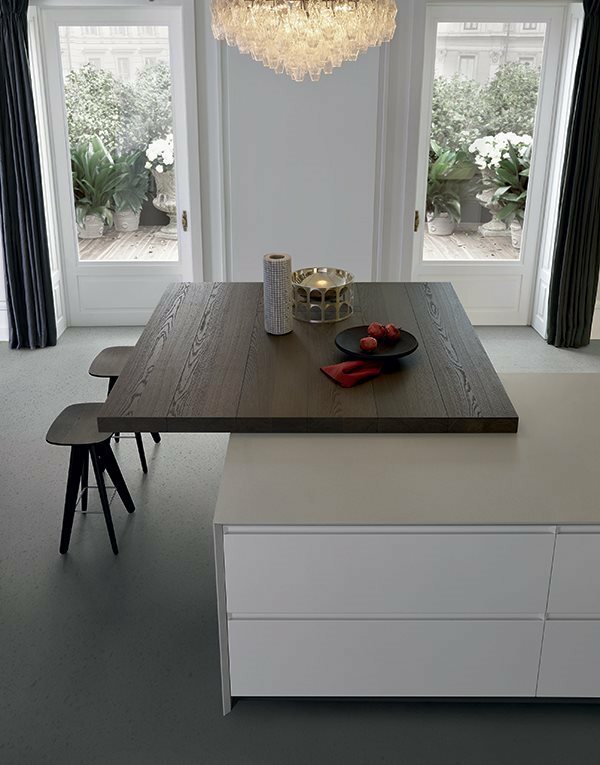 Poliform’s kitchen designers bring the very highest levels of experience, expertise and professionalism to their work and are proud to uphold these standards across every project. 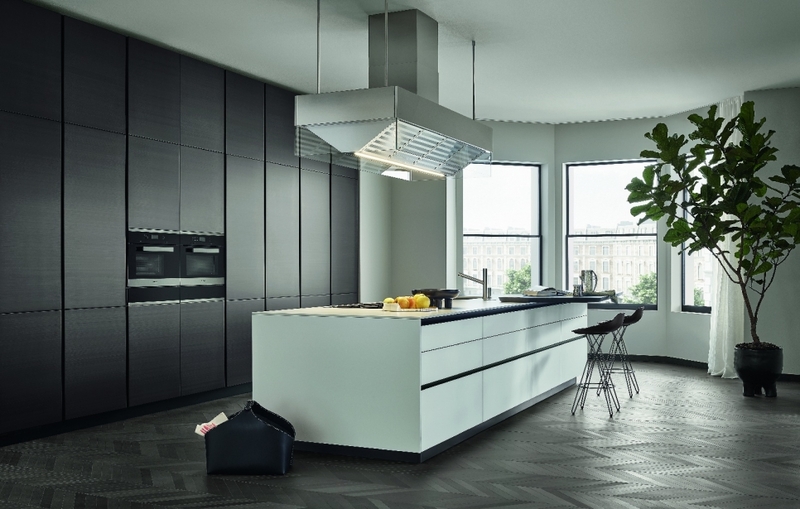 From consultation to completion, your dedicated Poliform designer and project manager helps create the right kitchen for you. 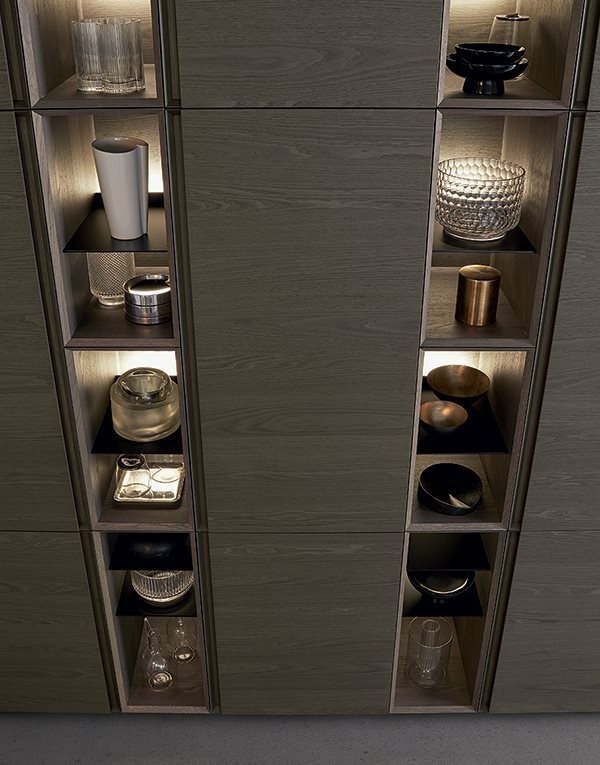 Utilising components that are quality-tested to guarantee longevity, safety and suitability of purpose, Poliform offers a bespoke solution for you and your family’s unique needs. Make an appointment with the Poliform design team. At this initial consultation, the team will discuss your kitchen wish list and the project’s specifications. 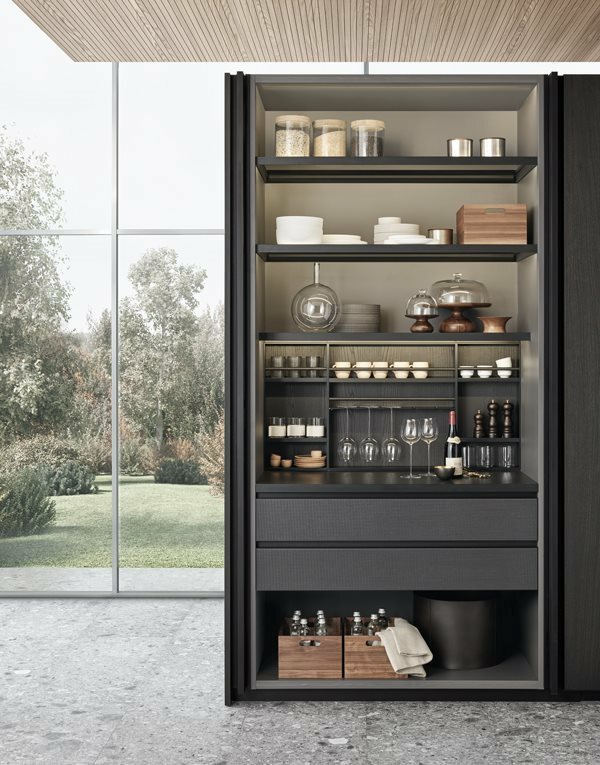 Working directly with you, your architect or designer, Poliform ensures that all elements of your kitchen will meet your functional, budget and aesthetic requirements. Based on your brief, the Poliform design team will present a layout and cost estimate and discuss kitchen specifics with you. Over the course of a few meetings, the team will refine the design to meet your needs. Our showroom kitchens allow you to experience, touch and feel finishes and fittings to discover just how your kitchen will take shape. Once the design, materials and costs have been approved by you, the design team produces plans and elevations of the kitchen. A full package of technical information is then issued when the order is placed. 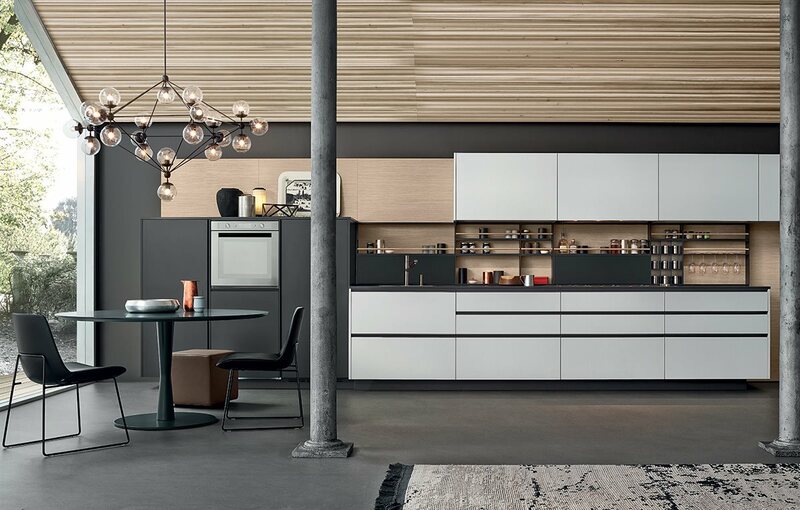 Your kitchen is then manufactured to your specifications, tested and fully assembled in Como, Italy, for delivery to Australia. An in-house installation team will project-manage the construction of your Poliform kitchen, working with your builder and architect to meet your time lines. From initial preparations and on-site inspections through to final installation, every detail is covered to accurately and efficiently match specifications. Conditions apply. See in store for details. Offer ends 31 July 2019.